At Two Rivers Health, we’re dedicated to supporting your health and wellbeing in pregnancy, birth and after baby is born. At any time during your pregnancy, you can book a complimentary meet and greet visit with one of our team of pregnancy & birth practitioners to learn how doula care, naturopathic medicine, chiropractic care and osteopathy can help you feel your best during your pregnancy as you prepare to bring your baby into the world. We believe in helping you bring your thriving next generation of your family into the world and raising them up in vibrant wellness! Pregnancy is an absolutely perfect time to focus on your health. Studies show that naturopathic prenatal care significantly improves pregnancy health, reduces the risks for preterm labour, and decreases your baby’s risk of developing allergies, asthma, eczema, learning problems and ADHD. Your naturopathic doctor can also help you safely and naturally treat concerns during your pregnancy from morning sickness to colds and flus, yeast, pain or discomfort, headaches, anxiety and stress during this very important time of your and baby’s life. At Two Rivers Health we’re excited to help you and your partner experience the healthiest and most enjoyable pregnancy possible, so that you can head into parenthood feeling your best and ready for this amazing new stage. Our pregnancy program includes one visit each trimester plus any additional care for concerns that may arise. We help you prepare for a safe, healthy and empowered birth experience through our workshops and birth doula services. When baby is between 8 days and 8 weeks old, we’ll follow up and discuss your birth experience, check in on baby and make sure you’re supported with breastfeeding, sleep, mood, energy and more as you and baby get settled in. Birth & postpartum doula services are offered by our trained doulas, Christa Vandervelde, Antoinette Falco & Alyssa Shepherd. As our doulas take one one primary birthing family per month, you’ll want to book your complimentary doula meet-and-greet visit within your first or second trimester so that she can book you in for your birth. The support of a doula significantly decreases the risk of birth interventions including C-sections. Mothers who are supported by a doula have less pain, less fear, and more satisfaction with their labour experiences. A doula is an unconditionally supportive person during one of the most important, transformative experiences of your life. In fact, birthing women were historically always supported by a woman outside her social circle. It’s only since the increased medicalization of labour (treating it like a medical problem rather than a natural physiological process) that women have been more isolated during their labours. Your doula will be a comforting presence, available to help you stay calm and focused, to make sure you’re nourished and hydrated, to provide physical comfort measures and even show dad or your birth partner how to make you feel more at ease, too. You’ll have someone by your side in any capacity you’d like, talking you through any treatment decisions, advocating for your wishes and helping you create the empowered, safe and healthy birth experience you’re planning for. Dr. Antoinette Falco ND, Dr. Alyssa Shepherd DC, are Guelph Naturopathic Doctors who are dedicated to serving the health needs of women during pregnancy, birth and postpartum. They are also trained birth doulas who attend hospital and home births in the Guelph area. To learn more about pregnancy and birth support at Two Rivers Health, contact us to book a free, 15-minute introductory consultation. We’ll take the time to answer your questions personally and see if it’s a good fit to work together. From the moment you get a positive pregnancy test, we’re here to support your wellbeing through each stage, so you can have the healthiest & most enjoyable pregnancy possible. As your Naturopathic Doctors & Birth Doulas, we work together with your midwife, family doctor or obstetrician (OB) to help ensure you feel your best during your pregnancy. We’re experts in pregnancy nutrition, the use of natural medicine and acupuncture in pregnancy, and helping you prepare for a safe, empowered birth. Our naturopathic pregnancy program includes at least one visit per trimester. In your first trimester, we’ll discuss nutrition and supplements, prevent or treat morning sickness or nausea, encourage you to connect with the Guelph Midwives or Family Midwifery of Guelph as soon as you know you’re pregnant if you’d like a midwife-attended birth. Note that you’ll receive medical/obstetrical care if you choose or need it, but as the midwives’ rosters fill up, if it’s something you’re interested in please do give them a call. If miscarriage has been a concern for you, we’ll also discuss this at your early pregnancy visit. In your second trimester, we’ll focus on physical activity if you had to take some time off in your first trimester, nutrition, sleep, stress or anything on your mind. We can also help you treat and prevent minor infections such as colds, flu, urinary tract (bladder) infections and yeast infections. Constipation is a common concern by this visit and we’ll be sure to address that. We’ll also consider your iron stores and can order blood work if your midwife or OB hasn’t done so already. By your third trimester, it will be time to discuss strategies for prevention or treatment of Group B Strep, a bacteria that can be normally found in women’s vaginal flora but that can cause serious illness in newborns. If detected, you’ll be encouraged to receive intravenous antibiotics once your water breaks and throughout your labour. Having an IV can affect your ability to move around, use the shower or birthing tub, and change positions to cope with labour pain. If labour becomes more painful as a result, an epidural may be a subsequent intervention, which of course, also involves immobility and increases the risk of an unplanned C-section. By this visit, you’ll also know whether your baby is in a head-down position or breech. If your baby is breech, your primary practitioner for the birth (midwives or OB) will discuss options with you in the event that the baby doesn’t turn before the birth. It’s helpful to try to encourage baby to turn by the middle of your third trimester. Our patients usually find that their baby turns during the evening after acupuncture treatment. The earlier you know your baby is breech – say 33 or 34 weeks, the better and more successful treatment can be. There is less and less room as weeks go by and baby grows to allow for turning, but it has been known to happen! If your baby is breech or in a less-than-optimal position, you can also try taking advantage of gravity and using different positions to encourage baby to shift and move. Some women have had their babies turn from going swimming. Starting from your Estimated Due Date, you can enjoy acupuncture treatment aimed to help the cervix soften and dilate naturally in preparation for an efficient labour and delivery. In a study of women who received a specific acupuncture protocol starting on their due date, those who received acupuncture gave birth an average of 3 days sooner than the women who did not receive acupuncture. We can use these acupuncture points to help your labour begin naturally and not forcefully. Your Birth Doula will also provide you with specific guidance to help you prepare for labour. A birth Doula is a non-medical support for labour. She is present before, during and after the birth to educate and empower you and your partner through the experience. Women who utilize birth Doula services experience more satisfaction with their overall experience and a reduced chance of experiencing traumatic birth. A postpartum Doula is a non-medical support for you and your whole family after the birth process. She helps in transitioning to life with a new little one by providing support in breastfeeding, childcare, meal prep, cleaning and cooking, pet care and so much more! A sibling Doula is a non-medical support for you and your whole family. She assists you and your children in transitioning to your new arrival by providing age appropriate information on the birth process designed to suit your unique needs and wants. She can also provide on-call support during your birth experience, caring for your children during the birth process. Your doula is your right-hand person at the most transformative experience of your lifetime. We know you’ll want to find the right fit, feel comfortable and get to know your doula personally as you prepare for your birth. All our birth clients have a complimentary meet-and-greet visit to ensure it’s a great fit for both you and your doula. As we’re on call for you starting 2 weeks before your birth, our birth doulas book up quickly. Book your doula meet-and-greet as soon as you’re thinking of having a doula at your birth. CHRISTA VANDERVELDE – Hi there, I am a birth, sibling and postpartum Doula. I believe that birth is a natural physiological process. I believe in informed choice and consent. I believe that every woman deserves to be educated and empowered about the birth experience. As your Doula I take time to recognize your unique individual needs, share information about the birth process and provide on call support for you and your whole family to have the best experience possible. After the birth I provide postpartum care to help you and your family transition to life with your new little miracle. As a Naturopathic Doctor and birth doula, Dr. Antoinette believes every pregnant woman deserves the birth experience that she desires. Part of creating a healthy and safe birth is ensuring a health pregnancy. We use gentle treatment options to relieve pain and discomfort, morning sickness, digestive upset, low energy and fatigue, acid reflux, colds and flus, skin conditions and other common concerns in pregnancy so you can feel your best as you prepare to bring your baby into the world. Dr. Antoinette works with women in all stages of pregnancy through the My Healthy Pregnancy Program. For more information about this program or to inquire about having Dr. Falco attend your birth as a doula, Dr. Antoinette invites you to book a complimentary meet-and-greet to make sure it’s a great fit for you. Our pregnancy health visits are longer than those offered by conventional physicians because we want to take the time to hear you, consider treatment options and ensure you feel empowered and happy with the plan we co-create for your care. 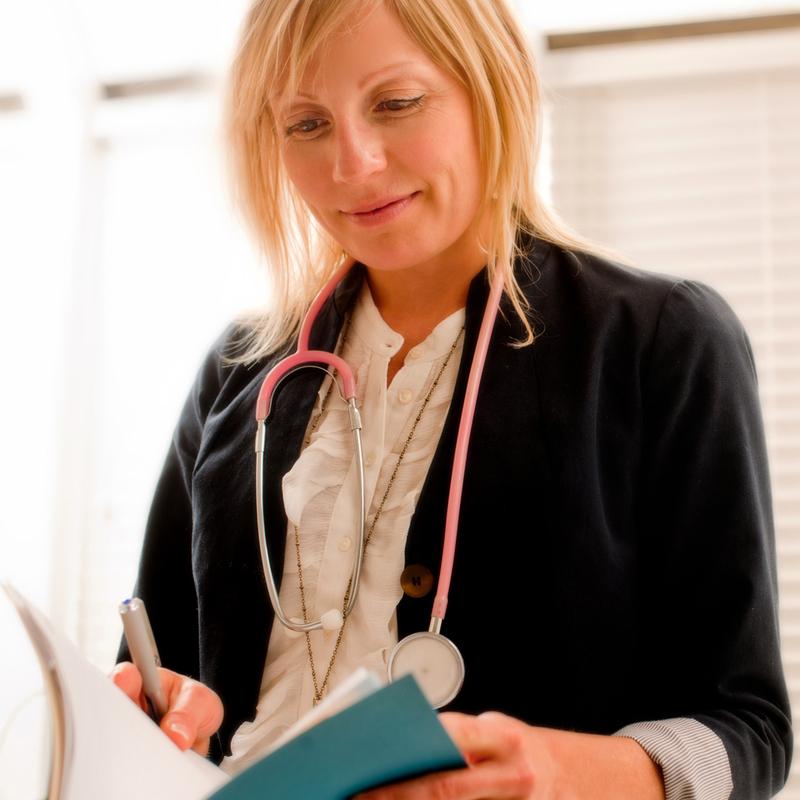 Our naturopathic doctors are experts in helping you create optimum health and wellbeing for yourself and your baby. We’ll provide as much education and evidence-based options as possible. We design a care experience that’s respectful and honouring of your treatment preferences. We’ll communicate effectively with your midwives, family doctor, OB or other treatment professional whenever you’d like to support you in feeling your best as you go through your pregnancy and prepare for your birth. At Two Rivers Health, we’ve drawn together a collaborative care team including naturopathic doctors, chiropractor, registered massage therapists, osteopath, physiotherapist, acupuncturist and counsellors so we can care for you in just the ways needed during your pregnancy and beyond. If we can’t help you get the results you’re looking for, we’ll connect you with someone who can. 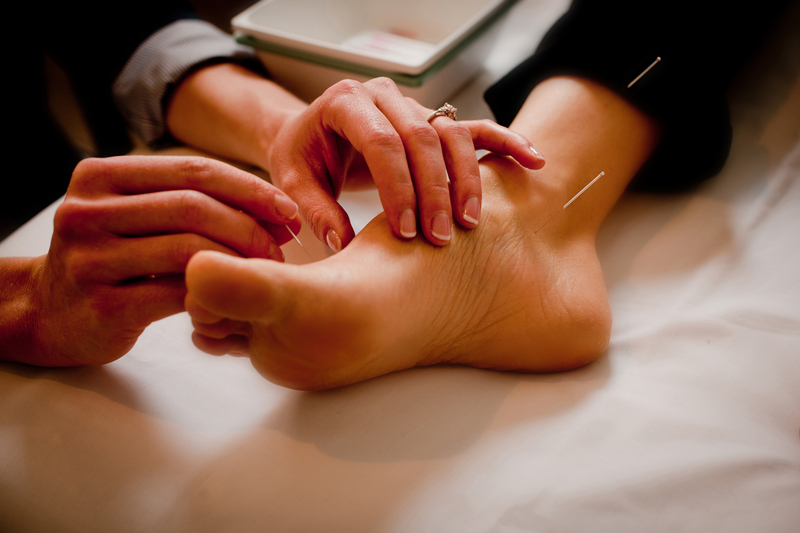 As your Naturopathic Doctors, acupuncture is part of our scope of practice. You may submit receipts to your insurance under your naturopathic coverage. In addition, Dr. Elizabeth Cherevaty ND, RAc holds a Registered Acupuncturist (RAc) license with the College of Traditional Chinese Medicine Practitioners and Acupuncturists of Ontario (CTCMPAO). Since Acupuncture became a Regulated Health Profession in Ontario in 2013, insurance companies may limit coverage for Acupuncture to treatments provided by a Registered Acupuncturist (RAc). Your acupuncture visits with Dr. Liz may be claimed under your Naturopathic or Acupuncture coverage. Research shows that specific acupuncture treatments from the 39th-40th week of pregnancy can help safely stimulate natural labour an average of 3 days earlier than without acupuncture. Two Rivers clinicians Dr. Elizabeth Cherevaty ND, RAc and Dr. Antoinette Falco ND, Doula are trained to provide safe and effective acupuncture treatment to help you avoid a hospital induction. Book online or contact us for more information. To have one of our Guelph doulas, Dr. Antoinette Falco ND or Christa Vandervelde, attend your birth, please contact us for a complimentary meet-and-greet visit. We’ll share what to expect when we work together and you’ll get answers to any questions you may have. As spaces fill quickly, you’ll want to contact us as soon as you know you’d like to have doula care to ensure we can reserve your dates. In this video, Dr. Liz talks us through the research showing the care of a Doula can help you have a safe, natural birth. Visits to your Naturopathic Doctor, Chiropractor, Osteopath, Doula and Acupuncturist may be covered by your health benefits. Please check with your individual benefits provider regarding your coverage details. Are herbs safe in pregnancy? Herbal medicines should only be taken during pregnancy on the specific advice of your qualified health care practitioner. After your baby is born, herbal medicines can be useful to help speed healing of the perineum, boost breastmilk production, ease anxiety or reduce symptoms of postpartum depression. Herbal medicine also includes the use of essential oils, which are the naturally fragrant oils distilled from flowers, leaves or barks of plants. Your Naturopathic Doctor can help you choose safe essential oils for use in steam inhalations, baths and diffusers. Note that fragrances, perfumes, and “parfum” are not the same as essential oils. Rather, they are sythetic chemicals and should be avoided during pregnancy. Choose scent-free cosmetics options or talk to your Naturopath about using natural and organic essential oils in your skin care products. Your Naturopathic Doctor can advise you about which herbs are safe in pregnancy. Naturopathic Doctors (ND) and Registered Traditional Chinese Medicine Practitioners (R.TCMP) are the only regulated health professionals licensed to practice herbal medicine in Ontario. We are also proud to work with certified Guelph herbalists and herbal medicine farmers in Guelph and other nearby communities who supply some of the medicines we use clinically. *Always check with your health care practitioner prior to using herbs during pregnancy. At Two Rivers Health, we believe you have the right to a respectful, supportive and empowering pregnancy and birth experience. That’s why we recognize you as the leader in your health journey. This includes when you’re pregnant, giving birth, and caring for your child. If you have any questions about how we help, please let us know. Whether you’re planning a home or hospital birth, have specific concerns or just want to know you’re doing everything you can to have a healthy pregnancy and baby, your Two Rivers Health team is here to support you in taking a proactive approach.